School board leaders, would you like to grow student success and well-being, and save over $20,000,000 / year*? Teach four proven, research-based secrets to student success and well-being, boost EQAO scores, and save money by reducing teacher burnout, teacher absenteeism, and teacher attrition with Super Peace Monkeys. If so, please share this site, watch the video, then choose a helpful resource below. According to research, social-emotional learning and mental health programs such as Super Peace Monkeys(TM) can save school boards millions of dollars, prevent teacher burnout, and maximize student success. To make a difference, you can invest in Super Peace Monkeys Caring School Board Certification. 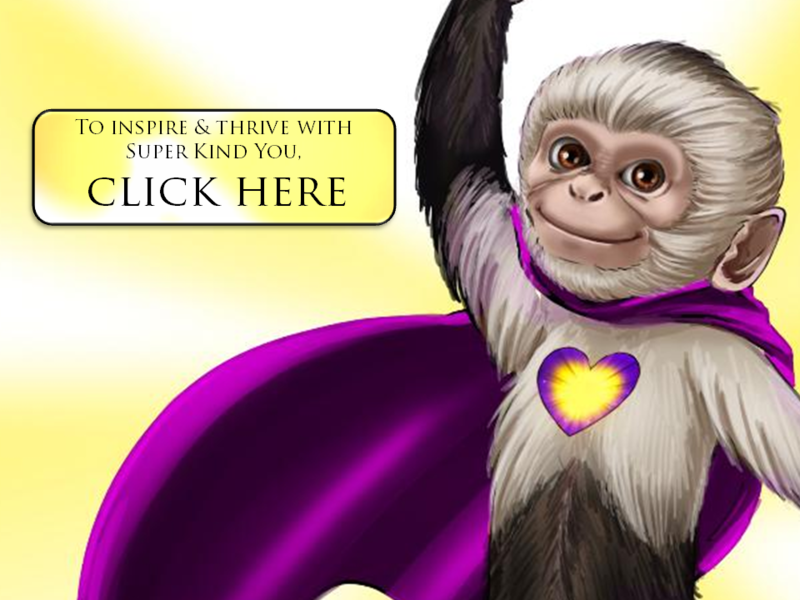 ​"Proactive and preventative, Super Peace Monkeys is positive and up-beat enough to evoke great interaction with students. I’ve implemented many programs in schools, and simple programs are better. This is simple enough for people to grasp, and I think it will be successful." * According to Professor Kenneth Leithwood from OISE / University of Toronto, "burnout" is due to the more extreme forms of stress experienced by those who work in interpersonally intense occupations (human services for the most part) that are subject to chronic tension. The term signifies the inability of people to function effectively in their jobs as a consequence of prolonged and extensive stress related to those jobs. Stress and burnout are closely related states of mind. A. G. Dworkin argues that the greater the level of stress, the greater the level of burnout. Estimates of the prevalence of burnout or excessive feelings of stress across the teaching population are actually quite alarming, ranging from 15 to 45%. What is the total cost of teacher burnout, teacher absenteeism, and teacher attrition in your board? According to research by the Canadian Teachers' Federation, roughly 30% of Canadian teachers leave their jobs within the first 5 years. According to a Canada-wide survey, teacher burnout and attrition increases the costs of initial training, recruitment, hiring, and professional development. According to Forbes magazine, in the United States, teacher attrition alone costs an estimated $7.3 billion. ​The Harvard Business Review reports that a mere 5% increase in employee retention results in a 10% decrease in costs, while productivity increases from 25% to 65%. ... the cost of Teacher turnover is over $8,800,000 / year. Now, add the cost of disability and absenteeism. Hiring supply teachers can cost a small board with 4,000 teachers approximately $12,000,000 per year. Teacher burnout also costs money because so many burnt out teachers need time off or long-term disability. OECTA’s Counselling and Member Services Department reports that 48 per cent of claims for Long Term Disability received by the Ontario Teachers’ Insurance Plan (OTIP) are mental/nervous/stress related. According to another study on Ontario teachers leaving the profession, leading factors cited from those dissatisfied with their job included: Workload and stress issues, and issues with school administrators or local school board policies. Teacher burnout due to Psychological issues is costing your school board millions of dollars every year. A recent study of urban teachers in Saskatchewan by professors Ron Martin and Rod Dolmage of the University of Regina found that 61 per cent had reported becoming ill due to work-related stress. As well, almost 40 per cent of those surveyed had to take time off work because of stress. Unfortunately, 51 per cent of the teachers in this sample stated that, if they found a viable career alternative, they would leave teaching! The Saskatchewan Teachers' Federation stated in a recent health bulletin that "stress, anxiety, depression and other psychological conditions are the leading causes of workplace absences." In fact, the largest cost to the Saskatchewan teachers' drug benefit plan were medications for depression and blood pressure (11 per cent of the total each). Super Peace Monkeys teacher training gives teachers essential psychological skills to prevent such conflicts in their classrooms and in their school communities. Elementary Teachers Federation of Ontario found that full-time public elementary teachers work, on average, 53 hours per week. Over 27 of those hours are spent on non-classroom duties such as preparing for classes, marking, working with individual students, supervising students, attending meetings, completing paperwork and contacting parents. The survey also found that almost all teachers feel overworked, and report that work-related demands have had a negative impact on their personal lives and on their health. Further research by ETFO showed that the complexity or general difficulty of their work is significantly increased by: excessively large classes, class composition (for example, more ESL and special needs students) disruptive students, dysfunctional family environments, and inadequate levels of learning resources. There is evidence that too much time spent dealing with student misbehaviour has significant effects on teacher satisfaction, stress, absenteeism, and attrition. Among organizational conditions, causing burnout the most frequently identified is student misbehaviour. Other organizational conditions identified in more than one study are work overload, and isolation. Unsafe and disruptive school climates including misbehaviour and physical threats from students contribute also to low morale. According to recent research, the average teacher spends over 1,200 hours per year on social-emotional issues including behavior management / discipline, aggression, bullying, and conflicts amongst students, parents, teachers and administration. Over 92% of teachers report that they often feel exhausted and overwhelmed. What about the impact on students? Dworkin summarizes evidence indicating that high-achieving students placed with teachers suffering from burnout achieve 20% less over the course of a year than do students placed with other teachers. Burnout also is associated with higher rates of student dropout.Having Psychologically healthy and motivated teachers and a safer school climate will clearly help student learning. According to CASEL (Committee for Academic, Social and Emotional Learning), schools that implement Social-Emotional Learning Curriculum enhance student academic test scores by 11%. According to the Ontario Ministry of Education, a review by Leithwood (2006) of “school working conditions that matter” suggests that school culture has significant effects on seven of the eight teacher “inner states” most directly related to student achievement, including satisfaction, commitment and stress/burnout. Many other educational studies have supported these results. In total, teacher burnout costs Ontario an estimated minimum of $1.5 BILLLION per year (76 boards times over $20 million each). What if we could cut those costs in half by providing fun, easy and effective social-emotional skills programs for teachers, parents and students? According to a meta-analysis of research reported by Professor Kenneth Leithwood from OISE / University of Toronto, support of friends, family, colleagues, and leadership were the best ways to prevent burnout. Leithwood recommends developing school-wide supports for dealing with student misbehaviour, fostering a positive school atmosphere, and helping teachers develop productive relationships with parents. That's exactly what Caring Schools Canada offers through Super Peace Monkeys program. To save millions of dollars and maximize student success, you can invest in Super Peace Monkeys Caring School Board Certification. For more information, watch the video, review the options below, or call Sharon Love, M.Ed. at 416-997-1382.